What’s it like to be a MSE? For many people, a call to ministry means a 360° about-turn from their previous line of employment. But for Jane Burns, that isn’t the case. After her ordination as a Deacon at Peterborough Cathedral on 24th June, she became a Minister in Secular Employment (MSE) – a pathway that she didn’t know existed beforehand. Contact is a charity that aims to support families with disabled children. Jane has been Director of Fundraising and Marketing there for three years, and she is continuing in her role – something which she is very pleased about. 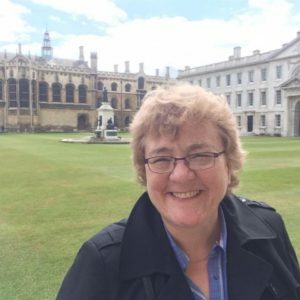 Jane’s new calling as an MSE is an unusual step, though – one which she describes as “exciting and a little bit scary”. “You’re a minister at work with two main areas of focus,” she explains: “pastoral care, and being a prophetic voice for the Church in the workplace, and for the workplace in the Church. It’s a wider ministry. Someone who will be able to advise on this is Reverend Richard Coles. Jane will serve her Deaconship at St Mary’s Church is Finedon – “I’ll be Assistant Curate in the parish – being there on Sundays and being involved in other aspects of parish life” – and is already gaining the benefits from spending time with someone who knows what it is like to walk her path. “He has a semi-MSE employment. Our secular working lives are separate, but it’s about sharing learning. We have had many conversations,” says Jane. 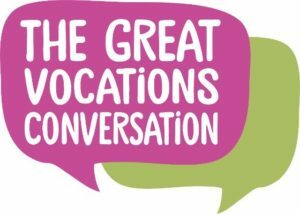 ‘The Great Vocations Conversation’ is a new initiative from the Church of England to encourage all ministers, lay and ordained, to have at least one conversation about vocation with someone new every month. Ministers can sign-up to the challenge via www.churchofengland.org/greatvocationsconversation.